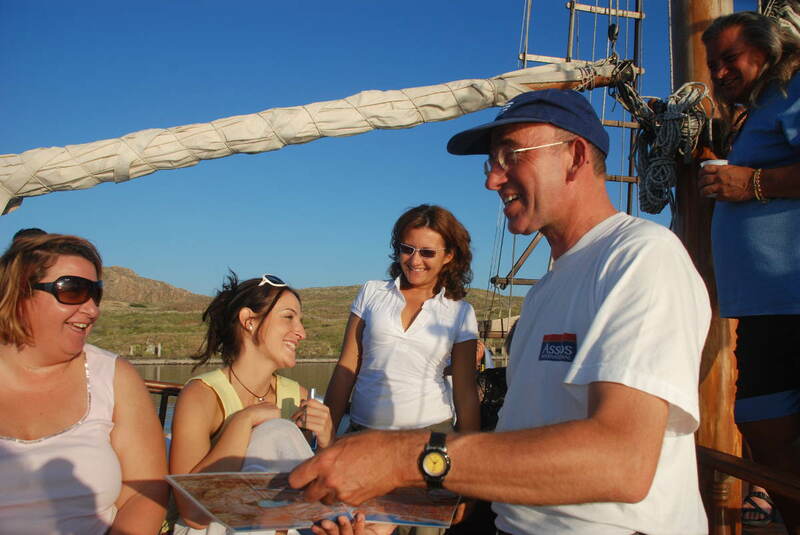 The route takes us to Delos with a view to the ancient harbor and also the ruins. Furthermore between Delos and the coast of Rhenia you then head towards the South to the uninhabited islands “Prassonissia” where we can also enjoy the magic light of the sun setting over Delos. On board there is also a choice of drinks to select from! Sparkling wine, white wine, Gin & tonic, Ouzo, beer and soft drinks (max. 2 drinks per person) which are offered with small snacks.